Dit zijn de (bij ons bekende) krantenartikelen, radioprogramma's en uitzendingen over Armand Sag of de door hem georganiseerde activiteiten tijdens zijn studentenperiode (2005-2009). Het gaat in totaal om meer dan 85 artikelen, waaronder toonaangevende Deense, Iraakse, Amerikaanse, Nederlandse en Turkse media. Tevens heeft Armand Sag 12 maal de voorpagina gehaald van een binnen- of buitenlandse krant. Klik voor meer informatie op ��n van de onderstaande links. Let op: door het hoge aantal artikelen kan deze internetpagina langzaam laden. Althans dat is wat doctoraalstudent Armand Sag beweert in zijn afstudeerscriptie over de opkomende internationale betrekkingen tussen Nederland en Turkije. Armand Sag, inmiddels afgestudeerd in geschiedenis, turkologie en internationale betrekkingen, maakt zich al klaar voor zijn feestelijke buluitreiking door de Universiteit Utrecht in oktober. In het onderzoek wat hij verrichtte in de archieven van Den Haag en Hoorn, kwam er volgens hem duidelijk naar voren dat de Turken als eerst de Nederlanden erkenden. Iets wat volgens Sag niet genoeg aandacht heeft gekregen in de hedendaagse geschiedschrijving of de diplomatieke betrekkingen tussen beide landen. �De Turken stuurden Nederland in 1610 een formele uitnodiging voor een ambassadeur, waarna zij in 1611 en 1612 handelsdecreten en capitulati�n gaven aan Nederland die tot dan toe alleen aan de drie grootmachten van Europa: Frankrijk, Engeland en Veneti� waren gegeven.� aldus Sag in een reactie. Hij voegt er verder aan toe: �Veel historici verwijzen dan wel naar de twee staatsambassadeuren die in 1609 naar Frankrijk en Engeland werden gezonden door Nederland, maar vergeten daarbij dat deze gezanten geweigerd werden door zowel de Engelse als de Franse koning. Dit om Spanje, dat Nederland nog steeds als een opstandige provincie zag, niet voor het hoofd te stoten.� De Turken, die op dat moment toch in oorlog waren met de Spanjaarden, hadden daar geen moeite mee. Volgens Armand Sag liet ook koningin Beatrix tijdens haar bezoek aan Turkije er geen twijfel over bestaan dat de Turken als eerst Nederland erkenden als een onafhankelijk, zelfstandig en soeverein staat. Armand Sag schrijft ook vaak over sociaal-maatschappelijke onderwerpen. 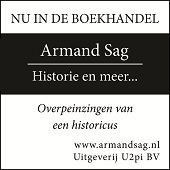 Een documentaire over de Armeense kwestie met aan het woord historicus Armand Sag. Armand Sag wordt veelvuldig uitgenodigd voor internationale recepties waarbij ook diplomaten van over de hele wereld aanwezig zijn. Met het nieuwe schoolseizoen 2008-2009 op komst kreeg Armand Sag, als voorzitter en oprichter van TNS Erkin, de ruimte om zich aan een groot publiek bekend te maken. Kort erna werd hij door de leden unaniem verkozen tot erevoorzitter en verkondigde hij zich emeritus-voorzitter. Lombok is the oldest and perhaps the most famous multicultural district in Utrecht taking its name from an Indonesian island. In several Indonesian languages the term lombok also means “chilly”. Many of Lombok streets recall Indonesian geography with names such as Balistraat, Borneostraat, Sumatrastraat and Javastraat. And yet Indonesian people are not the majority in Lombok thus this part of Utrecht hosts mostly Turkish people, from the very first generation of workers to an upcoming third. In a few years the biggest mosque in Holland should be built in Westplein, just between Vleutenseweg and Kanaalstraat the two main streets of Lombok. Yet, nowadays the whole construction area looks half abandoned and the call of muezzin comes thrice a day from a small red bricked house which is the current mosque. Armand is 23 years old and lives in Kanaalstraat, just in front of Westplein. He has spent all his life in Lombok. As the son of two Turkish parents, coming from Ankara, Armand is born and raised up in Utrecht. He considers himself Turkish and Dutch at the same time. His name is anything but Turkish and comes from the passion of his dad for football. In fact Armand is a homage to Argentinean superstar Diego Armando Maradona. “I think I am the only Turkish with this name” he tells me with a large smile. Since 2006 Armand is the Chairman of TNS Erkin a student association he founded by himself. I meet Armand in the Central Station main hall just one week before his degree proclamation at the Utrecht University where he studied History. Armand is totally bilingual. He can switch from fluent Dutch to fluent Turkish without any problem. As far as he knows, all the second generation of Dutch citizens of Turkish ancestry in Utrecht is able to speak or understand Turkish very well. Potentially the capacity of speaking two languages as a native speaker could and should be a social advantage, but in fact it’s not. The problem is that even today could happen how sons of Turkish immigrants in Holland don’t have the occasion to learn Dutch properly before going to school. During the 1980s Armand himself learned to speak Dutch only when he was 6 years old, attending primary school. “When I was a child I didn’t know I was living in Holland – he confesses me – At home I spoke Turkish to my parents. All of my friends came from Turkish families and did the same. When I went outdoors in Lombok, I only met Turkish people through the streets or in the shops along Kanaalstraat”. This situation hasn’t changed that much in the last years. According to Armand, most of the Holland-grown Turkish people from the second or even from the third generation still live in the same places where they parents moved or in the closest surroundings. This is because of generally they can’t afford to buy houses in the “white” and most expensive parts of Utrecht. Hence, areas like Lombok could still be considered Turkish ghettos like they were thirty-forty years ago. Furthermore, many Turkish-Dutch young people are unemployed and don’t attend the university. Armand considers himself as an exception to the status quo being a graduated student at the Utrecht University. He tells me how he was the only Turkish student among 300 of his year in the whole History Department. Nowadays around 400,000 people of Turkish people live in the Netherlands, representing the 2.5% of the whole population, but passing the 5% in Utrecht. According to a 2003 population census, this percentage rises up in Lombok where the 42% of people are non-EU citizens (mostly Turkish) while other areas of the city have even more foreigners. For example, Overvecht has a 45% of non-EU inhabitants, again mostly Turkish, while the 75% of people in Kanaleneiland are foreigners, with a majority of Moroccans. And yet the bitter truth is that people of Turkish ancestry are not represented that much in every aspect of cultural, social and political life in Holland. Successful personal stories like the one of Nebahat Albayrak, (who actually was born in Turkey) the current State Secretary of Justice being a young Turkish-Dutch woman are still very uncommon. Comparing Dutch-Turkish people with two other large groups like Dutch-Indonesian and Dutch-Moroccans there is something more to say. While Morocco and Indonesia are Islamic countries, Turkey is a laic one. And yet many Turkish people in the Netherlands go to mosques, follow the Qur’an teachings and refers as themselves as Muslims. “Religion becomes more and more important when you’re away from your country, even for Turks” as Armand says. “It’s here in Utrecht that I’ve seen for the first time a Turkish woman wearing a headscarf on a street – he points out – Something like that couldn’t ever happen in Turkey because the law doesn’t allow women to wear headscarves in government places such as primary, middle and high school as well as university”. Hence, if you’re a Muslim woman you can wear a headscarf outdoors in France or in Holland, but not in Turkey. “I think that many people in Holland don’t know this and still think that Turkey is an Islamic country without a modern Constitution”. Insists Armand. Talking about prejudices and reciprocal ignorance there is no doubt that the situation has definitely changed world-wide after 9/11, but even more in the Netherlands. Since 2001 the strain between Dutch society and Holland-grown Muslim people has been boosted by the assassinations of politician Pim Fortuyn and filmmaker Theo Van Gogh between 2002 and 2004. Broadly speaking, nowadays Dutchmen are still very tolerant, but the situation for many immigrants sons and daughters is getting worse. Armand went to primary school in a part of Utrecht inhabited only by Dutchmen and quite far from his home in Lombok. And in fact all of his classmates came from Dutch families. At that time the society was less multicultural than today and Armand’s classmates were very curious about him. Some of them had never seen a Turkish boy and wanted to understand more about Turkish people and habits in general. Armand had to explain them how Turkish people are not Arabs, without speaking or understanding written Arabic. Later in his school years Armand attended also a so called Black School where all the students came from immigrant families. Having experienced both the possibilities, Armand has very clear ideas on how to get a better integration through education in Holland “I don’t think that having special schools just for Muslim people or foreigners is a good solution. These schools can only increase the distances between Dutchmen and the sons of Turkish, Indonesian or Moroccan people.” In his opinion the best answer to encourage a multicultural dialogue avoiding reciprocal stereotypes is the promotion of Islamic courses in the Dutch schools instead of having separate schools. Yes, dialogue is important. From schools to universities, our conversation came to his student association: TNS Erkin. What does it mean? Armand explains me how TNS is an acronym for “Turks Nederlandse Studentenassociatie”, while the word Erkin means “freedom, liberty” in Turkish. Armand founded TNS Erkin in 2006 because he wanted to create an association thought for Turkish students but open to everyone also in Utrecht. He tells me that there are 19 universities in Holland, but just 6 of them had Turkish students associations. It took three years to create and establish TNS Erkin. The association became popular after participating to a debate on a Turkish television on September 2006. The topic of the program was related to Dutch Parliamentary Elections. In fact three Turkish-Dutch candidates were just removed by their parties because of their unclear position on the Armenian Genocide. “The television contacted us together with other Turkish students associations to discuss the issue – says Armand – but it came out how we were the only ones who were ready to speak about that because of our independent position”. The program got a wide coverage by several Dutch media and after that many people contacted Armand asking him how to join TNS. “For one month my phone was constantly ringing. I used to receive 30-40 callings a day. I didn’t expect so much success”. Nowadays TNS Erkin counts approximately 400 members, 150 of them living in Utrecht. As Armand remarks, everyone can join the association: Turks and Dutch, men and women, Muslims and Christians. The only condition is being a university student. Several TNS members are in fact Dutch students of Turkish Culture at the Utrecht University. Each member of TNS Erkin pays a small yearly fee which allows him or her to have discounts on books or snacks having the possibility of participating to all the events organized by the association. The association is organized in 4 committees and one board. Each committee is formed by 3-6 persons, while just 5 members belong to the board. Every member of the board is also a member of one of the committees. There are monthly board and committee meetings. At the top stands the chairman. As TNS Erkin chairman, Armand has to organize meetings, while all the social, cultural and sport activities pertain to the committees. From the next Academic Year something will change on the top of the association “This is my last year as the TNS Erkin chairman”. Confirms Armand who will definitely continue to follow the association he founded. And yet he’s aware that his first years as a student are over and that he needs to find a temporary job to pay further studies for a master’s degree. Amusement and leisure activities are important, but TNS Erkin looks further. Conference and debates on social, political, cultural and religious issues are the core of the Utrecht based association program. A recent pivotal point reached by TNS Erkin took place on last autumn in Utrecht. On that occasion the association organized a parade to protest against war and terrorism in Turkey. “We expected no more than 700 people, but we were told by the police that more than 7,000 attended coming from the whole Holland”. All this popularity is a bit too much for Armand who prefers to keep TNS Erkin focused to Utrecht instead of having an extended nationwide association. Nevertheless, the possibility of expanding TNS Erkin in other Dutch universities interests Armand who is working to create synergies in Tillburg, Arnhem and Leiden. “At first we had some misunderstandings with other students associations in Holland, because we were new and they didn’t know anything about us” Armand admits. “But now we have very good relations with Turkish students organizations such as Eurasia SV in The Hague, SV Anka in Deventer and Tusat in Twente”. TNS Erkin organized some activities together with SV Anka, while members of Tusat and Eurasia attended to some of TNS social events. Armand did the same in The Hague and Twente, but he would like to organize a big gala evening for all the associations at the beginning of the next Academic Year instead of having four separate events. Moreover, from 2007 TNS Erkin got an affiliation with Utrecht University. The University supports all the activities organized by TNS Erkin committees. From sport events to conferences, from public debates to barbecue evenings and social gatherings. “This affiliation is very important for TNS Erkin because it gives us more visibility, but hasn’t changed our aims – Armand says – We are still independent financing our activities by ourselves or through little sponsorships”. Talking about independence, multiculturalism and Turkey something pops up to my mind. Having read an interesting article on The Economist about the Gülen Movement and then having attended to one of their social evenings in Rotterdam, I’m curious to ask Armand if there is any connection between TNS Erkin and Fetullah Gülen. “That movement is becoming really popular and powerful in Turkey and elsewhere – Armand nods – Yet we don’t have anything to do with Gülen. We are and want to be independent – he claims – Moreover, Gülen Movement has its own student association in Holland named Cosmicus Foundation. Some of our members support Fetullah Gülen, but this is because we accept everyone to join us. In our association, therefore you may find people with different political and religious views”. At the moment the website of TNS Erkin is only Dutch written. Hence it’s very hard to find information and news on the association if you’re not familiar with Dutch language as many exchange students could be. Armand knows the problem and he’s trying to resolve it as soon as possible. In fact he’s currently working all by himself on the English, Turkish and German versions of the TNS Erkin website. “I will publish everything in the same moments instead of starting with one language and then adding the others step by step” Armand tells me. “Consider that when I created the association some people criticized me because I call it Turks Nederlandse and not Nederlands Turkse” he sighs shaking his head. “Of course I didn’t want to say or demonstrate anything with that name. I just think that Turks Nederlandse sounds better”. That’s why Armand doesn’t want to be accused to prefer German to English or Turkish to German. It shouldn’t take that long and then before summer TNS Erkin will have his multilingual homepage and contents. De YGP-Erkin overeenkomst was ��n van de laatste werkzaamheden die Armand Sag verrichte voor zijn toenmalige vereniging Erkin. Daarbij hoorde één bladzijde ter promotie in het YGP Agenda. Dat hij snel daarna zou stoppen met zijn voorzitterschap was toen al bekend. Van de bestuursleden van Jongerencentrum Ulu mocht Armand Sag, als voorzitter en oprichter van TNS Erkin, een pagina van hun maandblad Gençliğin Sesi tot zijn beschikking krijgen om TNS Erkin aan een groot publiek bekend te maken. Enkele maanden later werd hij door de leden unaniem verkozen tot erevoorzitter en trok hij zich terug als voorzitter na drie hele succesvolle jaren bij de vereniging die Armand Sag helemaal zelf opgericht had. Ook historicus en tevens turkoloog de heer Armand Sag mocht zijn mening geven over de film van PVV-politicus Geert Wilders. Destijds was Armand Sag nog voorzitter van Erkin, de studentenvereniging die hijzelf hoogstpersoonlijk had opgericht. Voor de overdracht van de bestuursfuncties aan het nieuwe bestuur van Tusat (een Turks-Nederlandse studentenvereniging aan de Universiteit Twente) door het oude bestuur was Armand Sag, destijds voorzitter van TNS Erkin, uitgenodigd en uiteraard ook aanwezig. Hij vertelde daar onder andere over zijn plannen met de andere studentenverenigingen. Een artikel over de Turkse gemeenschap in Nederland van de hand van Armand Sag veroorzaakte een golf aan positieve reacties in het binnen- en buitenland. Zijn twee paginalange tekst werd één van zijn bekendere en alom gewaardeerde werken. Erkin, een studentenvereniging opgericht door Armand Sag, werd uitgenodigd om mee te werken aan een live debat. Een interview met leden van TNS Erkin, die door Armand Sag waren gestuurd namens de vereniging, werd maandagavond 26 november 2007 live uitgezonden door BNN aangaande de onrust in Nederland tussen Turken en sympathisanten van de terroristische PKK. Helaas werden de Erkin-leden na afloop belaagd door leden van de terrorische PKK in Nederland. Op zondag 28 oktober 2007 vond er een protestmars tegen terrorisme in elk vorm plaats, de ruim 40 doden in Turkije vormden het laatste koelbloedige gezicht van terrorisme. Om de daders een signaal af te geven dat ze hiermee niet alleen Turkije aanvallen, maar de gehele gecivilisieerde wereld, werd er in het centraal gelegen Utrecht, op de Mariaplaats (achter het centraal station) verzameld rond de klok van 15:30. Het verliep onder strikte controle van organisator Armand Sag (destijds voorzitter van Erkin) vrijwel vlekkeloos, de opkomst werd geschat tussen de 8.000 en ruim 10.000 deelnemers. Een interview met Armand Sag van 5 november 2007 werd zondagochtend 11 november 2007 uitgezonden door de Nederlandse Moslim Omroep aangaande de komende Turkse militaire acties in Noord-Irak en de terroristische aanslagen van de PKK op Turken. Over het actuele onderwerp van dienstplicht in Turkije voor Turken woonachtig in Nederland werd Armand Sag uitgenodigd om er zijn mening over te geven. Deze reportage werd het resultaat. Ter nagedachtenis van de vele doden in Turkije die in de laatste paar weken vielen, besloot Armand Sag samen met de Deventers Gezamenlijke EenheidsOrganisatie om een herdenking te organiseren voor de onschuldige slachtoffers die door de terreuraanslagen van de PKK om het leven kwamen. Tevens werd opgeroepen om het geweld van de terroristische organisatie PKK te stoppen. De herdenking van de slachtoffers in Turkije vond plaats op 4 november 2007 in Deventer. Ter nagedachtenis van de vele doden in Turkije die in de laatste paar weken vielen, besloot Armand Sag samen met de Deventers Gezamenlijke EenheidsOrganisatie om een herdenking te organiseren voor de onschuldige slachtoffers die door de terreuraanslagen van de PKK om het leven kwamen. Tevens werd opgeroepen om het geweld van de terroristische organisatie PKK te stoppen. De herdenking van de slachtoffers in Turkije vond plaats op 4 november 2007. Ter nagedachtenis van de vele doden in Turkije die in de laatste paar weken vielen, besloot Armand Sag samen met de Deventers Gezamenlijke EenheidsOrganisatie om een herdenking te organiseren voor de onschuldige slachtoffers die door de terreuraanslagen van de PKK om het leven kwamen. Tevens werd opgeroepen om het geweld van de terroristische organisatie PKK te stoppen. De herdenking van de slachtoffers in Turkije vond plaats op 4 november 2007 in Deventer. Jammer genoeg werd door de Nederlandse media getracht dit te minimaliseren door te stellen dat er ongeveer 1000 demonstranten waren, terwijl politierapporten spraken van meer dan 2000 tot bijna 2500. Aan de andere kant waren er in Den Haag niet 1500, maar veel minder mensen op de been. Op zondag 28 oktober 2007 volgde er een protestmars tegen terrorisme in elk vorm, de ruim 40 doden in Turkije vormden het laatste koelbloedige gezicht van terrorisme. Om de daders een signaal af te geven dat ze hiermee niet alleen Turkije aanvallen, maar de gehele gecivilisieerde wereld, werd er in het centraal gelegen Utrecht, op de Mariaplaats (achter het centraal station) verzameld rond de klok van 15:30. Het verliep onder strikte controle van organisator Armand Sag vrijwel vlekkeloos, de opkomst werd geschat tussen de 8.000 en 10.000 deelnemers. Aan de hand van een eerder opgenomen reportage op 30 oktober 2007 met Armand Sag, werd twee dagen hierna een korte filmpje uitgezonden op Volkskrant TV. De reportage van Volkskrant TV ging over de onrust in Nederland door toedoen van de terreurbeweging PKK. Op 31 oktober 2007 werd contact opgenomen met de heer Armand Sag om op die avond live in een radiouitzending de kern van de PKK-Kwestie en de terreur van de terreurorganisatie nader uit te leggen op FunX Radio. Ondanks een door Armand Sag spectaculair en goed organiseerd protestactie, werd het zeer slecht gepresenteerd door de Nederlandse media. Dit terwijl het zeer rustig en vredelievend verliep, zelfs de politie maakte na afloop complimenten dat ��n iemand (respectievelijk Armand Sag) bijna 10.000 mensen onder controle kon houden. Dit kwam niet terug in de Nederlandse media, die alleen negatieve berichtgeving had erover. Een studentenprotestactie, georganiseerd door Armand Sag, met bijna 10.000 deelnemers verliep vlekkeloos gezien het feit dat er tijdens de actie niks mis ging. Toch vond de Nederlandse media het nodig om twee baldadige jongeren, slechts 0,2% van het totaal aantal betogers, alle aandacht te gunnen voor hun baldadigheid enkele uren na afloop van de protestactie. Dit bericht maakt gelukkig ook nog melding van de excuses die Armand Sag, destijds voorzitter van Erkin, maakte. Helaas werd er niet vermeld dat Armand Sag ook nog aanbood de kosten te betalen, alsmede alle gedupeerde hoogstpersoonlijk bezocht om een bloemetje, kaartje en typisch Turks kadootje aan te bieden. In Utrecht hebben zo'n vierduizend Turken gedemonstreerd tegen terrorisme. De demonstranten riepen onder meer op tot een onverdeeld Turkije. Volgens de organisator van de betoging, de Turks-Nederlands studentenassociatie Erkin, was de demonstratie niet gericht tegen de Koerden maar tegen het geweld van de Koerdische PKK. "Koerden zijn onze broeders" was een van de leuzen. Aan de demonstratie deden Turken uit België, Nederland en Duitsland mee. De laatste tijd is het geweld tussen de PKK en het Turkse leger toegenomen. In de Turkse provincie Tunceli doodde het leger zondag zeker 15 PKK-strijders. In dit artikel wordt er heel kort ook melding gemaakt van een studentenprotestmars, georganiseerd door Armand Sag. Frappant is echter dat het bericht weggemoffeld is in een artikel wat eigenlijk over iets anders gaat, dit terwijl het ��n van de grootste demonstraties in Nederland was van de afgelopen decennia was (respectievelijk rond de 10.000 betogers). Een door Armand Sag vredelievend en strak organiseerd protestactie, werd toch als negatief neergezet door de Nederlandse media. Dit bericht was nog ��n van de mildere, alhoewel het bijna 10.000 betogers "enkele duizenden" noemt. Tüm ülkeyi saran "Teröre ve PKK'ya lanet, askere destek" gösterilerinden biri de Utrecht şehrinde yapıldı. Öğrenci derneklerinin organizesiyle yapılan gösteride, çok sayıda üniversiteli öğrenci ve vatandaş, sloganlar eşliğinde omuz omuza yürüyerek, pankart açtı. UTRECHT - Tüm ülkeyi saran "Teröre ve PKK'ya lanet, askere destek" gösterilerinden biri de Utrecht şehrinde yapıldı. Öğrenci derneklerinin organizesiyle yapılan gösteride, çok sayıda üniversiteli öğrenci ve vatandaş, sloganlar eşliğinde omuz omuza yürüyerek, pankart açtı. Utrecht kent merkezinde yapılan gösteriye 5 binin üzerinde katılım oldu. Lahey, Rotterdam ve Amsterdam'dan gelen öğrenciler, Utrecht'te buluştu. Düzenlenen gösteriyle Türk askerinin yanında olduklarını gösteren öğrenciler, ellerindeki Türk bayrakları kadar üzerlerine giydikleri giyisilerle de kırmızıya büründü. Bu arada polis geniş güvenlik önlemleri alırken, gösteriler sırasında vatandaşlar, soğukkanlılıklarını korudu. Hep birlikte PKK'yı ve terörü lanetleyen göstericiler, hayatını kaybeden şehitlerin isimlerini tek tek okundu. Türk ve Hollanda bayrakları ile birlikte dünya kamuoyuna önemli mesajların verildiği pankartlarda, "Kerkük PKK'ya mezar olacak", "Hepimiz askeriz, seve seve gideriz", "Şehitler ölmez, vatan bölünmez", "Bir gece ansızın gelebiliriz", "Musul-Kerkük bizimdir" ibareleri yer aldı. Hollanda´nın Utrecht kentinde Erkin Türk Hollanda Öğrenci kuruluşu tarafından organize edilen ve diğer öğrenci kuruluşlarının da katkı verdiği terörizmi telin yürüyüşüne katılım bir hayli fazla oldu. Hollanda´nın Utrecht kentinde Erkin Türk Hollanda Öğrenci kuruluşu tarafından organize edilen ve diğer öğrenci kuruluşlarının da katkı verdiği terörizmi telin yürüyüşüne Hollanda´nın çeşitli kentlerinden çoğunluğu gençler olmak üzere 5 binin üzerinde vatandaşımız katıldı. Utrecht Mariaplaats meydanında başlayan yürüyüş Utrecht Belediyesi önünden geçilerek Dom Meydanı´nda sona erdi. Utrecht polisi kontrolü altındaki yürüyüşte vatandaşlarımız ´Bayrak inmez şehitler ölmez´, ´Şehitler ölmez vatan bölünmez´, ´En büyük asker bizim asker´, ´Kahrolsun PKK´, ´Emrindeyiz Türkiye´m´, ´Her Türk asker doğar´, ´İmralı Apo´ya mezar olacak´, ´Türk Kürt kardeştir, PKK kalleştir´ diyerek çeşitli sloganlar attılar. Yürüyüş boyunca yüzlerce Türk bayrağı dalgalandı. Erkin Öğrenci Derneği başkanı Armant Sağ bu yürüyüşü biz Türkiye´deki olayları kınamak için organize ettik. Amacımız sadece Türkiye´deki değil dünyadaki terörü de kınamak. Türkiye bu konularda biraz daha duyarlı olmalı. Bu yürüyüşte yetkililerden daha fazla destek beklerdik. Yaklaşık 30 yıldır kadın, çocuk, yaşlı, genç demeden Türk halkına karşı hunharca katliamlar yapan PKK´yı ve onun destekçilerini lanetlemek için bir protesto yürüyüşü tertip ettik. Bu yürüyüş aynı zamanda terörizm konusunda Batıda uygulanan çifte standarda karşı da bir protesto oldu. Tertip Komitesi olarak, herkesi bir insanlık suçu olan terörü lanetlemeye davet ettik.´ dedi. UTRECHT - In de binnenstad van Utrecht is een Turkse protestmars tegen de Koerdische afscheidingsbeweging PKK aan de gang. Er lopen ongeveer 1500 Turken mee. Tot nu toe verloopt de betoging rustig. Voorafgaand aan de mars reed volgens ooggetuigen een stoet met tientallen auto's met Turkse vlaggen door de stad. Er zouden ook vlaggen van de ultra-nationalistische beweging Grijze Wolven zijn gebruikt. De Utrechtse politie zegt extra alert te zijn, maar verwacht geen problemen. Organisator is de Turks/Nederlandse Studentenassociatie Erkin. Aanleiding voor de protestmars is de strijd tussen de Turkse regering en de Koerdische PKK, die opnieuw is opgelaaid. De organisatie heeft bezworen dat de betoging niet gericht is tegen Koerden en Armenen, maar tegen het geweld van de PKK. Daarbij zouden volgens Erkin de laatste weken al meer dan 40 doden zijn gevallen in Turkije. In Brussel zijn protestacties van Turkse nationalisten uitgelopen op rellen. Ook in Luik en Antwerpen betoogden Turken tegen de PKK. In de stad Genk is volgens Belgische media een illegale betoging op handen. UTRECHT - De Turkse protestmars tegen de Koerdische afscheidingsbeweging PKK in Utrecht is relatief rustig verlopen. Zo'n 5000 tot 7000 Turken uit het hele land liepen mee. Een enkele ruit sneuvelde en een groepje sensatiezoekers zocht de confrontatie met de ME. Het opstootje kon volgens de politie snel worden gesust. Rond half zes was de demonstratie ten einde en vertrokken de duizenden deelnemers weer naar huis. De organisatie spreekt van een geslaagde protestactie met een hoge opkomst. Organisator was de Turks/Nederlandse Studentenassociatie Erkin. Aanleiding voor de protestmars is de strijd tussen de Turkse regering en de Koerdische PKK, die opnieuw is opgelaaid. De organisatie benadrukte dat de betoging niet gericht was tegen Koerden en Armenen, maar tegen het geweld van de PKK. UTRECHT (ANP) - Ruim duizend Turken demonstreren zondagmiddag in Utrecht tegen terrorisme. De organisator, de Turks-Nederlandse Studentenassociatie Erkin, heeft daarvoor een vergunning gekregen. Volgens de organisatie richt het protest zich in het bijzonder tegen het geweld van de Koerdische PKK tegen Turkije. De demonstranten trekken rustig van de Mariaplaats naar de Neude. Enkele duizenden Turken hebben zondagmiddag in Utrecht gedemonstreerd tegen het terrorisme. Aanleiding voor de protestmars waren volgens de organiserende Turks-Nederlandse studentenorganisatie Erkin de ruim veertig doden die onlangs vielen bij gevechten tussen PKK-strijders en het Turkse leger. Volgens een woordvoerder van de politie verliep het protest 'prima' en hield de eigen ordedienst van de organisatie de demonstratie goed in de hand. Onder de demonstranten waren veel families met kinderen. De protestmars, die deels door de binnenstad van Utrecht trok, liep rond 17.00 uur ten einde op de Neude. PKK-strijders hebben in de afgelopen maand bij twee acties bij de grens met Irak in het zuidoosten van Turkije 42 mensen gedood, onder wie een dertigtal Turkse militairen. Het Turkse leger dreigt Noord-Irak binnen te vallen om met de PKK af te rekenen, maar de Verenigde Staten, Irak en andere landen proberen Turkije hiervan te weerhouden omdat de situatie in de regio verder gedestabiliseerd zou raken. UTRECHT - Duizenden Turken hebben zondagmiddag gedemonstreerd in Utrecht. In een vreedzame betoging riepen zij onder meer op tot "één onverdeeld Turkije". Duizenden Turken demonstrerenDe politie schatte het aantal demonstranten op 5000 tot 7000. Volgens de organisator, de Turks-Nederlandse Studentenassociatie Erkin, was de demonstratie dan ook niet gericht tegen Koerden, maar tegen het geweld van de Koerdische PKK. "Koerden zijn onze broeders", was een van de leuzen van de demonstratie. De Turkse demonstranten waren volgens de organisatie afkomstig uit Nederland, België en Duitsland. Hoewel twee ruiten en een bushokje sneuvelden, hebben zich verder geen incidenten voorgedaan. Wel was het na afloop nog even onrustig. Enkele jongeren trapten tegen ruiten en wilden met stenen gaan gooien, maar de politie wist dat te voorkomen. Twee aanstichters werden aangehouden, waarna het weer rustig werd in de stad. UTRECHT - Duizenden Turken hebben zondagmiddag gedemonstreerd op de Neude in Utrecht. In een vreedzame betoging riepen zij onder meer op tot ‘één onverdeeld Turkije’. Volgens de organisator, de Turks-Nederlandse Studentenassociatie Erkin, was de demonstratie dan ook niet gericht tegen Koerden, maar tegen het geweld van de Koerdische PKK. ‘Koerden zijn onze broeders’, was een van de leuzen van de demonstratie. De Turkse demonstranten waren volgens de organisatie afkomstig uit Nederland, België en Duitsland. Hoewel één ruit sneuvelde, hebben echte incidenten zich niet voorgedaan. UTRECHT - Op initiatief van de Turkse studentenvereniging Erkin hebben enkele duizenden mensen zondag in Utrecht meegedaan aan een protestmars tegen de koerdische afscheidingsbeweging PKK. Duizenden mensen liepen zondag een protestmars tegen de koerdische afscheidingsbeweging PKK. Aanleiding waren de confrontaties tussen de afscheidingsbeweging PKK en het Turkse leger, in de afgelopen weken. Deelnemers werd opgeroepen zich in het rood te kleden. Met Turkse vlaggen en spandoeken gaven mensen vanuit het hele land daaraan gehoor. De politie schat hun aantal op 5000 tot 7000. De stoet vertrok rond half vier vanaf de Mariaplaats en liep door het centrum, via het stadhuis en het Domplein, om de tocht te eindigen op de Neude. Ook in België betoogden Turken afgelopen weekend tegen de PKK. Net als in Utrecht, waar alleen twee baldadige jongens werden gearresteerd, bleef het daarbij rustig. UTRECHT - Op initiatief van de Turkse studentenvereniging Erkin hebben duizenden mensen gisteren in Utrecht meegedaan aan een protestmars tegen de koerdische afscheidingsbeweging PKK. Deelnemers werd opgeroepen zich in het rood te kleden. Met Turkse vlaggen en spandoeken gaven mensen vanuit het hele land daaraan gehoor. De politie schat hun aantal op 5000 tot 70000. De stoet vertrok rond half vier vanaf de Mariaplaats en liep door het centrum, via het stadhuis en het Domplein, om de tocht te eindigen op de Neude. Een groots activiteit van Armand Sag, in de hoedanigheid van voorzitter van TNS Erkin, haalde op indrukwekkende wijze het nieuws. Tijdens een wedstrijd voor ondernemers werd Armand Sag met zijn idee voor een waterpijpcafe (Nargile Loungebar) op het nippertje tweede omdat de Gemeente Utrecht een horecastop had doorgevoerd. De prijs ging daardoor naar het milieubewuste project van de fietstaxi. Aan de hand van het eerder opgenomen interview op 7 mei 2007 met Armand Sag, werd op 27 mei 2007 een reportage uitgezonden over zijn werkzaamheden aangaande de opening van waterpijpcafe Nargile Loungebar in Utrecht. Tijdens een wedstrijd voor ondernemers werd Armand Sag met zijn idee voor een waterpijpcafe (Nargile Loungebar) op het nippertje tweede omdat de Gemeente Utrecht een horecastop had doorgevoerd. De prijs ging daardoor naar het milieubewuste project van de fietstaxi, maar toch kreeg de waterpijpcafe meer aandacht. Ook Armand Sag werd, als ��n van de meest succesvolle studenten in Nederland, uitgenodigd voor het afscheid van vertrekkend ambassadeur Tacan İldem. Tijdens het afscheidsborreltje kreeg Armand Sag ook nog de gelegenheid om een korte toespraak te houden voor de Turkse ambassadeur die vanaf januari 2007 de nieuwe vertegenwoordiger van Turkije in de NAVO zou worden. Op uitnodiging van de internationaal uitgezonden Turkse televisiekanaal �Samanyolu�-tv nam Armand Sag deel aan een politiek debat over de participatie van Turkse Nederlanders aan de Nederlandse politiek en in het bijzonder de komende verkiezingen van dat jaar in het programma �Madalyon�, oftewel �Medaille�. Dit debat werd live uitgezonden op televisie vanuit Rotterdam en ontvangen in Turkije, Centraal Azi�, geheel Europa en Noord-Amerika via de kabel en/of schotel. Armand Sag, destijds oprichtend voorzitter van Focus, mocht de spits afbijten door de discussie te openen door als eerst een vraagstuk te presenteren aan de overige deelnemers, waaronder Osman Elmacı (CDA), Saadet Karabulut (SP), Ali Saraç (PvdA) en Birgül S�nmez (GroenLinks). Ook op de groepsfoto in de krant Zaman kreeg Armand Sag een plek. Op uitnodiging van de internationaal uitgezonden Turkse televisiekanaal �Samanyolu�-tv nam Armand Sag deel aan een politiek debat over de participatie van Turkse Nederlanders aan de Nederlandse politiek en in het bijzonder de komende verkiezingen van dat jaar in het programma �Madalyon�, oftewel �Medaille�. Dit debat werd live uitgezonden op televisie vanuit Rotterdam en ontvangen in Turkije, Centraal Azi�, geheel Europa en Noord-Amerika via de kabel en/of schotel. Armand Sag, destijds oprichtend voorzitter van Focus, mocht de spits afbijten door de discussie te openen door als eerst een vraagstuk te presenteren aan de overige deelnemers, waaronder Osman Elmacı (CDA), Saadet Karabulut (SP), Ali Saraç (PvdA) en Birgül S�nmez (GroenLinks). Op bladzijde 4 wordt er gerefereerd naar Armand Sag en zijn toespraak tijdens de IOT vergadering van 8 oktober 2006 te Capelle aan den IJssel. Er werd spreektijd vrijgemaakt voor een vertegenwoordiger van de Turkse studenten in Nederland. De enige Turkse student die bereid bleek zonder enige voorbereiding een toespraak van vijftien minuten te houden voor meer dan duizend aanwezigen, verschillende binnen- en buitenlandse media en meerdere politici was Armand Sag. Tevens staat hij op een foto op bladzijde 7. Naar aanleiding van het schrappen van meerdere kandidaat-parlementsleden voor het uiten van hun mening (in september 2006 respectievelijk) organiseerde Armand Sag een studentenprotestmars in Den Haag voor het gebouw van het CDA op 11 oktober 2006. Zowel in de Turkse als in de Nederlandse media werd er ruim aandacht aan besteed; het werd zelfs verkozen tot ��n van de beste gebeurtenissen van het jaar door het toonaangevende Amerikaanse Time Magazine. Naar aanleiding van enkele spraakmakende activiteiten van Armand Sag en zijn vereniging Focus, welke hij zelf opgericht had, werd er een speciaal nummer over Turkse studentenorganisaties in Nederland uitgebracht door Platform Maandblad, waarin onder andere Armand Sag het woord kreeg. Tevens kwam hij op het voorblad en kreeg hij zijn eigen column. Armand Sag kwam in de krant van Merhaba zelfs drie keer voor, het eerste artikel ging over een indrukwekkend activiteit die hij georganiseerd terwijl het andere artikel over een individuele actie van hem ging; te weten een persoonlijke brief aan het adres van PvdA-partijvoorzitter Michiel van Hulten waarin hij Van Hulten terugfluit. Een actie waar Armand Sag namens zijn toenmalige vereniging Focus ook medewerking aan verleend had, kwam in de krant van Ufuk. Het is zeer jammer dat de Nederlandse krant Trouw, en de alom als anti-Turkse journalist bekend zijnde subjectieve Eildert Mulder, spreken van 'nationalistische' organisaties om de lezer een verkeerd indruk te geven. Het ging namelijk om een brief die Armand Sag schreef in de hoedanigheid van voorzitter van studentenvereniging Focus, zoals de naam laat zien was het geen 'Turkse' vereniging en al helemaal niet 'Turks nationalistisch'. Het laat toch de subjectieve houding van Trouw, alsmede andere Nederlandse media, zien. De campagne van nationalistische Turken tegen CDA en PvdA begint op stoom te komen. Vanuit Den Haag verspreidt het 'Turks Forum' sinds gisteren een poster die oproept massaal op Fatma Koser Kaya van D66 te stemmen. De woede richt zich vooral op CDA en PvdA, die drie Turkse kandidaten van de kieslijst afvoerden, omdat ze weigerden de Armeense genocide te erkennen. Maar de actie is ook gericht tegen VVD, GroenLinks en SP. Daarentegen beschrijft een begeleidende e-mail D66 als de kampioen van het vrije woord. Koser Kaya stal de harten van nationalistische Turken door te weigeren verantwoording af te leggen over de Armeense genocide van 1915. Ook stemde ze tegen de inburgeringswet van Verdonk. Turks Forum schrijft: „Laten we deze waardevolle dame met een groot aantal stemmen in de Kamer brengen en laten we met onze democratische vuist op de stembus slaan." Turks Forum is een koepel van tientallen Turkse organisaties in Den Haag, maar de poster heeft landelijke betekenis. Eerder al deed Turks Forum samen met veertien andere Turkse organisaties, waaronder de invloedrijke vereniging Tannet voor jonge Turkse academici, een oproep tot boycot van CDA en PvdA. Het is nog onduidelijk in hoeverre de campagne succes heeft. Opvallend is wel dat D66 in peilingen weer op twee zetels staat, nadat de partij eerder was afgezonken tot de nullijn. De actie kan electoraal een grotere betekenis krijgen, als de Turken andere moslims op sleeptouw weten te nemen. Turks Forum lijkt, getuige de tekst van de e-mail, daarop te mikken. Overigens schrijft Koser Kaya, ineens de kampioen van de genocide-ontkenners, op haar site dat er in 1915 honderdduizenden Armeniërs zijn vermoord. Ze vindt het belachelijk dat er in Turkije niet vrij over deze kwestie kan worden gediscussieerd. Haar standpunt lijkt op dat van de nu hevig verguisde Nebahat Albayrak van de PvdA. De PvdA probeert de schade in te dammen. Dit weekeinde was er in Deventer een PvdA-bijeenkomst met Turkse, plaatselijke politici. Ook In Amsterdam en Rotterdam zijn zulke vergaderingen gehouden. In een brief aan de partij-afdelingen Rotterdam en Den Haag schrijft voorzitter Michiel van Hulten dat de partij lokale Turkse politici niet zal afrekenen op de Armeense genocide. De nationalistische Turkse organisatie Focus 1915 is niet onder de indruk. Focus heeft zelfs zijn felste tegenstander, de Armeense koepel FAON, gewaarschuwd tegen de PvdA. u alleen maar laten weten zodat ook u weet dat er zeer vieze spelletjes worden gespeeld binnen de PvdA. Door het aanhoudende wispelturige gedrag van Partij van de Arbeid in de verkiezingen van 2006, besloot Armand Sag PvdA-partijvoorzitter Michiel van Hulten daarop aan te spreken. Van Hulten kon geen adequaat antwoord geven en besloot naar Utrecht te komen voor zogenaamde 'achterkamerpolitiek'. Armand Sag ging daar echter niet in mee. AMSTERDAM - PvdA ve CDA'nın Türk kökenli adaylarına yönelik 'soykırım' dayatmasına karşı tepkinin öncülüğünü yapan üniversiteli gençlerimizden Arman Sağ, İşçi Partisi (PvdA) Genel Başkanı Michiel van Hulten'in "Türk toplumunun güvenini yeniden kazanalım" şeklindeki sözlerine, "Türklerin desteğini yitirdiniz" yanıtını verdi. Türk genci Van Hulten'e gönderdiği yazıda, "Kamuoyu araştırmalarında CDA'nın gerisinde kaldığınızı ve şimdi böylesi zavallı çabalarla Türk toplumunu yeniden kazanmaya çalıştığınızı biliyoruz. Sizin için belki bir kültür şokudur, ama bizler okuyabiliyor ve yazabiliyoruz" dedi. Le quotidien turc Zaman en date du 13 octobre 2006 se plaint que les étudiants turcs en Hollande soient « forcés » de reconnaître le génocide arménien. Selon Arman Sag, un étudiant à la faculté d’Utrecht de Turcologie et porte-parole pour les étudiants turcs aux Pays Bas ces derniers ne peuvent plus « rejeter le génocide ». Arman Sag indique qu’en prenant une telle position il n’est plus rare qu’on les insulte en les traitant de « néo-nazis » et ceci même de la part de professeurs. « Notre éducation est gênée ici. Il y a la liberté de pensée. J’ai fait mes recherches et j’ai constaté que les Arméniens n’avaient pas été victimes d’un génocide. C’est mon avis et personne ne peut m’accuser pour ceci. Nous soutiendrons toujours la liberté de pensée. Nous condamnons le racisme anti-turc. De telles incidences essayent de provoquer l’inimatié contre des Turcs » a ajouté Arman Sag . Tyrkiets tog til EU er »stødt på en landmine, som Paris har lagt ud«, skriver det tyrkiske Zaman Online om det franske parlaments vedtagelse af en lov, der gør det kriminelt at benægte folkemordet på armeniere i det daværende tyrkiske osmanniske rige under Første Verdenskrig. Det er i hvert fald endnu en sten på Tyrkiets vej, som i går kom til at præge EU’s møde med den tyrkiske udenrigsminister, Abdullah Gul, et år efter åbningen af forhandlingerne om tyrkisk EU- medlemskab. Den største aktuelle forhindring er dog trusler fra den græsk-cypriotiske regering og Grækenland om helt at blokere for tyrkisk medlemskab. Tyrkiet har nægtet at åbne sine havne for græsk-cypriotiske skibe, indtil en international embargo imod det tyrkisk kontrollerede nordlige Cypern er ophævet. »Det sidste vindue om Cypern-sagen kan i de kommende uger og måneder blive lukket i meget lang tid, måske år«, sagde EU’s udvidelseskommissær, Olli Rehn, op til gårsdagens møde. EU har afvist at lade folkemordet påvirke medlemsforhandlingerne, selv om tyrkisk anerkendelse af det burde være en forudsætning for medlemskab. Men medlemskabet fremmes ikke af franskmændenes kriminalisering af folkemordsbenægtelse. Det er lige så forkert som kriminaliseringen af benægtelse af Holocaust. Historieforfalskning skal bekæmpes med historiske facts, ikke med kriminalisering. Men det er lige så forkasteligt, at Tyrkiet kriminaliserer omtale af massedrabene på armeniere fra 1915-18 som folkemord. Ifølge landets straffelov kan omtale »retsforfølges som anti-national sammensværgelse«. Bl.a. den tyrkiske forfatter, Orhan Pamuk, der netop har fået nobelprisen, har været anklaget for at omtale folkemordet. Sager imod ham og andre er imidlertid droppet. Det tyder på, at den tyrkiske regering er ved at opgive denne indskrænkning af ytringsfriheden. Tyrkiet anerkender, at mange armeniere blev dræbt, men afviser, at der var tale om officiel politik og kalder det et resultat af etniske konflikter samt sygdomme og hungersnød under Første Verdenskrig. Ifølge Tyrkiet blev omkring 300.000 armeniere dræbt, ifølge Armenien halvanden million. Fredskonferencen i Paris i 1919 opererede med op mod 800.000 armenske ofre. Det er grundigt dokumenteret, at der var tale om et officielt iværksat folkemord. Armeniernes skæbne i det osmanniske riges sidste år er det næst mest efterforskede folkemord efter Holocaust. Tyrkiet må bringes til at anerkende den historiske sandhed, fordi ingen stat, som viser mangel på respekt for ofre for folkemord, bør lukkes ind i EU. Ville noget land, der benægter Holocaust, nogensinde kunne blive medlem? Nej, vel. Når tyrkisk anerkendelse af folkemordet ikke er gjort til en betingelse for EU-medlemskab, skyldes det, at en række EU-lande underkender vigtigheden af det. Fra den seneste rapport om Tyrkiets tilpasning til EU blev det krav ikke taget med af angst for nationalistiske tyrkiske reaktioner. Dårligere begrundelse kan ikke tænkes, da en demokratisk udvikling i Tyrkiet kræver, at landet erkender sin egen historie. Kriminalisering vil imidlertid, som EU har påpeget, stikke en kæp i hjulet på den igangværende forsoningsproces imellem Armenien og Tyrkiet. Og det forplumrer det nødvendige opgør imellem EU og Tyrkiet om den sag. Det franske senat skal først godkende parlamentets forslag for at det ophæves til lov. Forhåbentlig handler det franske senat mere fornuftigt end parlamentet. Sideløbende med den franske debat, er tre tyrkiske parlamentskandidater blevet ekskluderet fra politiske partier i Holland, fordi de afviser at anerkende udslettelsen af armeniere som folkemord. Arman Sag, talsmand for tyrkiske studerende i Holland, siger til Zaman Online, at de trues med at blive smidt ud fra universiteter for ikke at anerkende folkemordet. Guven Alkilic, en anden tyrkisk studerende, siger: »Ved at smide tyrkiske kandidater ud angriber hollandske partier ikke bare tyrkeres tanke- og ytringsfrihed, men også demokratiet. Det betyder, at de kræver medlemmer af parlamentet, der gør, hvad de end får besked på«. Også det er angreb på ytringsfriheden, der vil skade debatten om folkemordet. Hollanda'da sözde Ermeni soykırımı iddialarını kabul etmedikleri için adaylıktan atılan 3 Türk kökenli milletvekilinin ardından "soykırım" dayatmaları okullara da sıçradı. Türk kökenli adayların parti listelerinden çıkarılmasına tepki gösteren Hollandalı Türk öğrenciler, soykırım dayatmalarının ülke genelindeki okullara da yayılmaya başladığını açıkladı. Hollanda'da protesto gösterisi düzenleyen öğrencilerden, Utrecht Üniversitesi Türkoloji Bölümü'nde okuyan Türk öğrenciler sözcüsü Arman Sağ, soykırımı kabul etmedikleri için engellerle karşı karşıya kaldıklarını ifade etti. Öğretmenlerinden Neo Nazi diye hakaretlere maruz kaldıklarını belirten Sağ, "Burada bizim öğrencilik kariyerimiz de engelleniyor. Fikir özgürlüğü diye bir şey vardır. Ben araştırdım, bana göre soykırım olmamıştır. Bu benim fikrimdir. Buna kimse karışamaz. Fikir özgürlüğünü sonuna değin savunacağız. Türklere karşı önyargıları kınıyoruz. Bu olaylar ile Türklere karşı düşmanlık oluşturulmak isteniyor." diye konuştu. Hukuk fakültesi öğrencisi Gamze Arıkan bu durumu insan haklarına doğrudan saldırı olarak nitelerken Tilburg Üniversitesi'nde okuyan Fatih Kulaksızoğlu, "Biz burada bize dayatılmak istenen anti-demokratik uygulamaları şiddetle kınıyoruz. Soykırım konusunu kesinlikle kabul etmiyoruz." dedi. Güven Alkılıç isimli bir diğer öğrenci ise Türk adayların partilerinden atılmalarının Türk toplumunu son derece olumsuz etkilediğini kaydetti. Alkılıç, tepkisini "Siyasi partiler Türk kökenli adayları listelerden çıkarmakla, Türk toplumunun düşünce ve ifade özgürlüğünün yanında, demokrasiye de darbe vurdu. Bu yaklaşımınızla sizler her söylediğinize evet diyen, başını sallayan kukla milletvekilleri istiyorsunuz. Bu nedenle sizlere iki tane temsili kukla milletvekili de getirdik." sözleriyle dile getirdi. Hollanda'da sözde Ermeni soykırımı iddialarını kabul etmedikleri için adaylıktan atılan 3 Türk kökenli milletvekilinin ardından "soykırım" dayatmaları okullara da sıçramaya başladı. Hollanda'da, 22 Kasım'da yapılacak genel seçimler öncesinde, parti listelerinden çıkarılan Türk kökenli adaylara Hollandalı Türk öğrencilerin tepkisi artarak devam ediyor. Öğrenciler, protesto gösterisi düzenleyerek Türk kökenli adayların liste dışı bırakılmasına tepki gösterdi. Protesto gösterisi sırasında Hristiyan Demokratlar Birliği (CDA) sekreterine protesto mektubu verildi. Bu arada bazı ırkçılar soykırım dayatmalarını ülke genelindeki okullara yaymaya başladı. CDA sekreterine protesto mektubunu veren Güven Alkılıç, üç Türk kökenli adayın listelerden çıkarılmasının Türk toplumunu son derece olumsuz etkilediğini söyledi. Alkılıç, "Türk adayların görüşlerinden dolayı partilerinden atılmalarının demokrasi, düşünce ve ifade özgürlüğü ile bağdaşmadığını, siyasi partilerin Türk kökenli adayları listelerden çıkarmakla, Türk toplumunun düşünce ve ifade özgürlüğü yanında, demokrasiye de darbe vurdu. Bu yaklaşımınızla sizler her söylediğinize evet diyen, başını sallayan kukla milletvekilleri istiyorsunuz. Bu nedenle sizlere iki tane temsili kukla milletvekili de getirdik." tepkisini gösterdi. Utrecht Üniversitesi Türkoloji Bölümü'nde okuyan Türk öğrenciler sözcüsü Arman Sağ, "Bu yürüyüşler bir başlangıçtır. Türk toplumu daha uyanmadı. Gençler bu yürüyüşleri düzenleyerek kamuoyunun dikkatini çekmeyi başardı. Hedefimiz Türk ve Hollanda toplumunu uyarmaktır. Burada bizim öğrencilik kariyerimizde engelleniyor. Ben tarih bölümünü okuyorum. Bunu soykırım olarak kabul etmediğim için çok engeller ile karşı karşıya geliyoruz. Öğretmenlerden Neo Nazi diye hakaretlere maruz kalıyoruz." dedi. Sağ, "Çok tuhaf gelişmeler oluyor. Fikir özgürlüğü diye bir şeyler vardır. Ben araştırdım bana göre soykırım olmamıştır. Bu benim fikrimdir. Buna kimse karışamaz. Fikir özgürlüğünü sonuna değin savunacağız. Türklere karşı ön yargıları kınıyoruz. Bu olaylar ile Türklere karşı düşmanlık oluşturulmak isteniyor." şeklinde konuştu. Hukuk fakültesi öğrencisi Gamze Arıkan, "Hollanda'daki Türk toplumunun, demokrasiye ve ilkelerine değer veren, hukukun üstünlüğüne inanan ve düşünce özgürlüğüne kesinlikle bağlı olan bir gruptur. Yalnızca etnik kökenlerinden dolayı üç Türk'ün CDA ve PVDA partilerinin aday listelerinden çıkarılmalarının insan haklarına da doğrudan saldırıdır." dedi. Tilburg Üniversitesi'nde okuyan Fatih Kulaksızoğlu, "Biz Burada uygulanmak istenen anti demokratik uygulamaları şiddetle kınıyoruz. Burada biz soykırım konusunu kesinlikle kabul etmiyoruz." şeklinde konuştu. Başka bir üniversite öğrencisi Hilal Doruk, "Demokratih haklarımızı sonuna kadar kullanacağız." dedi. Hollanda'da, 22 Kasım'da yapılacak genel seçimler öncesinde, parti listelerinden çıkarılan Türk kökenli adaylara Hollandalı Türk öğrencilerin tepkisi artarak devam ediyor. Öğrenciler, protesto gösterisi düzenleyerek Türk kökenli adayların liste dışı bırakılmasına tepki gösterdi. Protesto gösterisi sırasında Hristiyan Demokratlar Birliği (CDA) sekreterine protesto mektubu verildi. Bu arada bazı ırkçılar soykırım dayatmalarını ülke genelindeki okullara yaymaya başladı. After three Turkish candidates were expelled from their political parties in the Netherlands for refusing to accept the Armenian genocide allegations, Dutch universities are pressuring Turkish students to accept the Armenian genocide. Arman Sag, a student at the Utrecht University department of Turcology and a spokesman for Turkish students in the Netherlands, said they were facing obstacles for rejecting the genocide. Another Turkish student, Guven Alkilic, expressed that the Turkish community had been deeply disappointed by the dismissal of Turkish candidates from their parties. After three Turkish candidates were expelled from their political parties in the Netherlands for refusing to accept the Armenian genocide allegations, the Dutch universities are pressuring Turkish students to accept the Armenian genocide claims. The Turkis societies consider the pressures as anti-Turkish and anti-Muslim campaign. More than 450.000 Turkish people live in the Netherlands and they have almost no representative in the Dutch political system. The decision to remove the Turkish names from the party lists increased the mistrust among the Turkish people in Netherlands towards the State and Duch institutions. Hollanda’da sözde Ermeni soykırımı iddialarını kabul etmedikleri için adaylıktan atılan 3 Türk kökenli milletvekilinin ardından “soykırım” dayatmaları okullara da sıçradı. Türk kökenli adayların parti listelerinden çıkarılmasına tepki gösteren Hollandalı Türk öğrenciler, soykırım dayatmalarının ülke genelindeki okullara da yayılmaya başladığını açıkladı. Hollanda’da protesto gösterisi düzenleyen öğrencilerden, Utrecht Üniversitesi Türkoloji Bölümü’nde okuyan Türk öğrenciler sözcüsü Arman Sağ, soykırımı kabul etmedikleri için engellerle karşı karşıya kaldıklarını ifade etti. Öğretmenlerinden Neo Nazi diye hakaretlere maruz kaldıklarını belirten Sağ, “Burada bizim öğrencilik kariyerimiz de engelleniyor. Fikir özgürlüğü diye bir şey vardır. Ben araştırdım, bana göre soykırım olmamıştır. Bu benim fikrimdir. Buna kimse karışamaz. Fikir özgürlüğünü sonuna değin savunacağız. Türklere karşı önyargıları kınıyoruz. Bu olaylar ile Türklere karşı düşmanlık oluşturulmak isteniyor.” diye konuştu. Hukuk fakültesi öğrencisi Gamze Arıkan bu durumu insan haklarına doğrudan saldırı olarak nitelerken Tilburg Üniversitesi’nde okuyan Fatih Kulaksızoğlu, “Biz burada bize dayatılmak istenen anti-demokratik uygulamaları şiddetle kınıyoruz. Soykırım konusunu kesinlikle kabul etmiyoruz.” dedi. Güven Alkılıç isimli bir diğer öğrenci ise Türk adayların partilerinden atılmalarının Türk toplumunu son derece olumsuz etkilediğini kaydetti. Alkılıç, tepkisini “Siyasi partiler Türk kökenli adayları listelerden çıkarmakla, Türk toplumunun düşünce ve ifade özgürlüğünün yanında, demokrasiye de darbe vurdu. Bu yaklaşımınızla sizler her söylediğinize evet diyen, başını sallayan kukla milletvekilleri istiyorsunuz. Bu nedenle sizlere iki tane temsili kukla milletvekili de getirdik.” sözleriyle dile getirdi. Hollanda'da bir grup Türk öğrenci, 22 Kasım'da yapılacak erken genel seçimlerde sözde Ermeni soykırımına evet demedikleri için parti aday listelerinden çıkarılan Ayhan Tonca, Osman Elmacı ve Erdinç Saçan'a karşı takınılan tavrı protesto etti. Uygulamanın demokrasiye, fikir özgürlüğüne ters düştüğünü belirten protestocu öğrenciler, Den Haag merkez istasyonun da bir araya gelip Hıristiyan Demokrat Parti (CDA) merkezine yürüyerek protesto mektubu bıraktı. Utrecht kentinde Türkoloji bölümünde eğitim gören Arman Sağ, "Geçtiğimiz hafta PvdA merkezine yürümüştük. Bu sefer CDA'ya karşı yürüdük. Protestolarımız sürecek. Bu partilerin yaptıkları Hollanda'daki fikir özgürlüğüne aykırı. Birleşmiş Milletler tarafından kabul edilmeyen bir olayı savunmak yasaklandı? Bu Ermeni Meselesi'ni soykırım olarak nitelendirmemek bizim en doğal hakkımız. Osman Elmacı, Ayhan Tonca ve Erdinç Saçan'ın listeden atılması Türk toplumuna ve fikir özgürlüğüne hakaret. Bize zamanında Nazi'lerin Yahudi'lere yaptıkları mı yapılmak isteniyor. Okullarımızda bizimle alay ediyorlar." diye konuştu. Protestocu grup CDA merkezi önüne gelerek burada bir süre bekledi. Ağızlarına Hollanda'nın simgesi turuncu renkli bantlar yapıştıran gruptan iki kişi iki adet kukla taşıdı. Bununla 'kukla olmak istemedikleri'ni belirten grubun temsilcisi CDA önünde parti yetkilisi bir bayan ile konuştu. Naar aanleiding van het schrappen van meerdere kandidaat-parlementsleden voor het uiten van hun mening (in september 2006 respectievelijk) organiseerde Armand Sag een studentenprotestmars in Den Haag voor het gebouw van het CDA op 11 oktober 2006. Zowel in de Turkse als in de Nederlandse media werd er aandacht aan besteed, waarbij u hieronder een foto uit de Metro van 12 oktober 2006 kunt bewonderen. Een artikel over een studentenprotestactie georganiseerd door Armand Sag, die destijds voorzitter was van Focus, in samenwerking met enkele andere organisaties. Met 'een geschiedenisstudent uit Utrecht' doelt Trouw, en hun journalist Eildert Mulder, in dit artikel op Armand Sag. Ondanks de bekendheid van zijn gegevens werd er gekozen om hem anoniem te houden in dit artikel. Turken zullen de verkiezingen niet boycotten maar wel een „strategische stem" uitbrengen. Daartoe is gisteren besloten op een bijeenkomst georganiseerd door het Inspraak Orgaan Turken. In het HN Hotel in Capelle aan den IJssel wordt al snel duidelijk dat de Turkse gemeenschap niet op ramkoers ligt. Honderden mensen blazen beschaafd stoom af over de manier, waarop CDA en PvdA Turkse politici van de lijst hebben geschrapt, omdat ze de volkerenmoord op de Armeniërs ontkennen. Hun conclusie: de vrijheid van denken in Nederland is in gevaar. Als je afgaat op de literatuur in de lobby dan krijg je de indruk dat hier vooral het rechts nationalistische deel van de Turkse gemeenschap vergadert. Zo zijn er boekjes in Turks en Engels, die de genocide van 1915 ontkennen. Ook het woordgebruik is vaak nationalistisch. De meeste sprekers hebben het over de ’zogenaamde genocide’ of ’genocideleugens’. Maar helemaal koekoek één zang is het niet. Er klinken ook afwijkende meningen. Een ander geluid laat Mustafa Ayranci van de linkse vakbond HTIB horen: „We moeten ook onszelf bekritiseren. Als iemand in Turkije zegt dat er een genocide is geweest dan kan die de gevangenis indraaien.” Hij verzet zich tegen de term ’onze vertegenwoordigers’, als het gaat over de Turkse kamerleden. „Albayrak is niet mijn vertegenwoordiger, de fractieleden van mijn partij vertegenwoordigen mij.” Hij vindt dat iedereen duidelijk moet beslissen: woon je in Nederland of in Turkije? Het slotcommuniqué ziet de aanval op de Turkse kandidaat-kamerleden als uitvloeisel van het anti-migrantenklimaat van de afgelopen vijf jaar. Turken zullen een ’strategische stem’ uitbrengen. Iedereen kan zelf invulling geven aan dat begrip. „Dat is een stem op D66”, klinkt het in de wandelgangen. Tijdens de IOT vergadering van 8 oktober 2006 te Capelle aan den IJssel, waarbij Armand Sag uitgenodigd was, werd er spreektijd vrijgemaakt voor een vertegenwoordiger van de Turkse studenten in Nederland. De enige Turkse student die bereid bleek om zonder enige voorbereiding een toespraak van vijftien minuten te houden voor meer dan duizend aanwezigen; verschillende binnen- en buitenlandse media en meerdere politici was Armand Sag. Armand Sag op de voorpaginafoto van de in de gehele Benelux uitgegeven Post, omdat hij een uiterst succesvol studentenprotestenmars had georganiseerd in Den Haag op 11 oktober 2006. Tijdens de İOT vergadering van 8 oktober 2006 te Capelle aan den IJssel, waarbij Armand Sag uitgenodigd was, werd er spreektijd vrijgemaakt voor een vertegenwoordiger van de Turkse studenten in Nederland. De enige Turkse student die bereid bleek om zonder enige voorbereiding een toespraak van vijftien minuten te houden voor meer dan duizend aanwezigen; verschillende binnen- en buitenlandse media en meerdere politici was Armand Sag. In Rotterdam vond op 16 maart 2006 een discussie plaats over de gevolgen van genocide en de politieke lading ervan. De discussieavond was georganiseerd door Studium Generale Rotterdam en vond plaats op de Erasmus Universiteit te Rotterdam, ook Armand Sag had een aandeel in de organisatie ervan. Tevens zagen verschillende televisie- en radio- afgevaardigden hoe geschiedenisstudent Armand Sag de aanwezige panelleden pittige vragen stelde over discutabele punten in de geschiedenis. Door het dreigende verlies van Turks/Turkologie en de bijbehorende Oosterse Talen (ANPT; Arabisch, Nieuw Perzisch en Turks) op de Universiteit Utrecht organiseerde Erkin een protestactie om het toch te behouden. De protestmars begon op de universiteit en vond zijn eindhalte voor het gemeentehuis in Utrecht. Alvorens dit protest te organiseren werd er een reportage gegeven aan het Ublad op 19 januari 2006. Studenten Turks kregen kort voor de jaarwisseling te horen dat hun vak volgend jaar niet meer wordt gegeven in Utrecht. Ze zijn verbijsterd. Over het opheffen van hun studie, maar zeker ook over de manier waarop de universiteit met hen omgaat. "Respectloos, ik kan het niet anders noemen." "Ik dacht echt aan een grap." Mirjam van Leussen kon haar ogen niet geloven toen ze kort voor Kerst het mailbericht las waarin haar verteld werd dat ze haar studie volgend jaar in Leiden zal moeten voortzetten. De eerstejaars hoofdvakstudente Turks is met vier anderen, voor wie Turks het tweede hoofdvak of een bijvak is, na een college nog even blijven zitten in het lokaal aan de Kromme Nieuwegracht. Geen van hen had voor de onheilspellende kerstboodschap iets vernomen over een op handen zijnde opheffing van Turks, zelfs niet aan de koffietafel. De manier waarop het besluit de studenten is meegedeeld, vinden ze ongehoord. Mustafa Güner: "En wanneer het college van bestuur dan niet eens de moeite neemt om te reageren op e-mails die wij sturen, dan weet je wel hoe ze over studenten denken." Mirjam: "Respectloos, ik kan het niet anders noemen." Na de eerste verbijstering, overheerst nu vooral de boosheid. Vooral vanwege de persoonlijke consequenties die het besluit met zich meebrengt. Per september worden de studenten geacht naar Leiden te reizen. "Dit moeten ze geweten hebben toen ik in september met mijn studie in Utrecht begon", stelt Mirjam grimmig. "Waarom hebben ze me toen niet kunnen vertellen dat ik in het tweede jaar naar Leiden zou moeten? Hoe kun je verwachten dat iemand zomaar in een andere stad gaat studeren? Er zijn studenten die uit Groningen komen, voor hen is Leiden echt onbereikbaar." Geschiedenisstudent Armand Sag: "Ik heb vrijwel elke dag college in Utrecht. Dan kan ik niet zomaar vier of vijf uur besteden aan een retourtje Leiden. Mijn studieadviseur heeft al gezegd dat het beter is dat ik stop met Turks." Maar ook de teloorgang van een zeer gewaardeerde opleiding zorgt voor woede. Renske Rutgers: "Deze opleiding heeft een heel hoog niveau, de docenten hebben zich daar echt voor ingespannen. Studenten kiezen ook allemaal heel bewust voor Turks en zijn daarom erg gemotiveerd. Ik dacht er juist over om mijn studie economie even op een lager pitje te zetten, zo leuk vind ik dit." De redenen die de faculteit aandraagt voor het stopzetten van Turks en Perzisch stuitten op onbegrip en wantrouwen. Handhaving van de onrendabele onderdelen Turks en Perzisch is gezien de moeilijke financiële situatie van Geesteswetenschappen niet langer te rechtvaardigen, zo stelt de faculteit. Daarnaast passen de talen niet in het facultaire profiel. Parcival von Schmid reageert gestoken: "Ik vind dat financiële verhaal onzin. Opheffing van deze opleiding zal op korte termijn de problemen niet oplossen. Dan zou de universiteit er beter aan doen niet al te rap weer een nieuw gebouw in De Uithof neer te zetten. Er wordt geschermd met de bezuinigingen omdat ze de inhoudelijke discussie niet willen aangaan." Het is inderdaad de inhoudelijke redenatie van het faculteitsbestuur die veel wrevel heeft gewekt. Geesteswetenschappen zegt zich te willen richten op West- en Zuid-Europese talen en culturen. Maar waarom een master op het gebied van de islam in West-Europa wel vraagt om het voortbestaan van Arabisch in Utrecht, maar niet van Turks, ontgaat de studenten. Mirjam: "Vooral daaraan zie je dat de besluiten genomen worden door mensen die geen verstand van zaken hebben. De Turkse islam is echt anders dan de Marokkaanse." Wanhopig: "Ik zou dat o zo graag eens aan die mensen willen uitleggen." Armand: "Oké, Arabisch is de taal van de koran, maar kijk naar de actuele situatie. Er wonen in West-Europa meer Turken dan Marokkanen. En van die Marokkanen spreekt de helft ook nog eens Berbers. Bovendien is Turkije een belangrijke factor in de internationale politiek en economie, kijk naar de discussies over de EU-toetreding. Het is toch niet te verdedigen dat je bijvoorbeeld Keltisch in stand houdt en Turks niet. Ik heb nog nooit een expert Keltisch bij Twee Vandaag gezien." Mustafa vindt bovendien dat de universiteit rekening moet houden met het signaal dat ze nu afgeeft. "Toen in Utrecht het Turkse tv-kanaal TRT van de kabel werd gehaald, zette dat al enorm veel kwaad bloed. Ook het stopzetten van een studie Turks zal politiek worden geïnterpreteerd. Een universiteit mag zijn ogen niet sluiten voor die groeiende kloof tussen bevolkingsgroepen." Willekeur en opportunisme. Andere benamingen zeggen studenten niet te hebben voor het besluit dat nu is genomen. Mustafa: "Als je zo abrupt besluiten moet nemen dan heb je je zaken waarschijnlijk niet op orde. Anders kun je dit eerst met de betrokkenen bespreken." Parcival: "Over de rol van de medezeggenschap lijken we het al helemaal niet meer te hoeven hebben." Voor Mirjam en andere hoofdvakkers is de kous nog lang niet af. "Ik vind dat ik er recht op heb mijn studie hier in Utrecht af te maken. Dit is contractbreuk. En als het nodig is, zal ik ook zeker een advocaat inschakelen." Maar ook andere krachten worden gemobiliseerd. Zo heeft Armand PvdA-politici van Turkse komaf benaderd. Binnenkort volgen er gesprekken. "Iedereen vindt dat dit echt niet kan."
Met het opheffen van Turks en Perzisch is een periode van onzekerheid aangebroken voor vier docenten. Dr. Hans Theunissen, universitair docent Turks, is één van hen. "Dit voelt als een overval." "Waarom? Dat was het eerste wat ik dacht toen het faculteitsbestuur met de mededeling kwam dat Turks uit Utrecht zou verdwijnen. Samen met mijn collega Kadir Turkmen heb ik de afgelopen jaren onder moeilijke omstandigheden hard gewerkt om deze opleiding op het hoogste niveau te brengen. We mochten minder modulen aanbieden en vertrekkende collega's werden niet vervangen. Maar we zijn steeds met een positieve instelling doorgegaan. Dat heeft ertoe geleid dat er nu een heel goed programma staat. Bovendien hebben Kadir en ik de meeste uitgebreide grammatica-methode van Nederland, misschien wel van de wereld, opgesteld. Als je zo met je vak bezig bent voelt dit als een overval. "Ik vind ook dat er veel is af te dingen op de overwegingen van de faculteit. De financiële problemen van de faculteit zijn zo groot dat opheffing van Turks en Perzisch, naar mijn idee, niet werkelijk zoden aan de dijk zet. Het is ook moeilijk uit te leggen waarom je Arabisch wel handhaaft en Turks niet. De faculteit zegt zich te willen richten op West- en Zuid-Europa, maar waar ligt dan de grens? Turks heeft bovendien veel potentie voor de toekomst. De belangstelling van studenten groeit. Turkije is in politiek- en economisch opzicht, en als vakantieland, immers van steeds groter belang. Naar dat soort argumenten is denk ik te weinig geluisterd. "Voor mij rest nu slechts een periode van onzekerheid. Het enige wat ik nu zeker weet is dat ik per 1 september 2006 geen werk meer heb in Utrecht. De universiteit is nog in gesprek met Leiden en hopelijk levert dat wat op, maar ik kan slechts afwachten. Met de studenten heb ik afgesproken dat we, ondanks alles, ons werk de komende maanden gewoon afmaken op de manier waarop we dat aan het begin van het jaar hebben afgesproken. Natuurlijk is het lastig het moreel te bewaren, maar ik ben niet het soort docent dat het laat afweten en mijn studenten zijn ook niet zo." Het faculteitsbestuur Geesteswetenschappen laat weten op dit moment niet in het Ublad te willen reageren. Het bestuur wil zijn standpunt eerst toelichten in een gesprek met de opleidingscommissie van Arabisch, Nieuw-Perzisch en Turks en ook tijdens de faculteitsraad van aanstaande vrijdag. Tijdens het WK Voetbal Onder 20, dat in Utrecht werd gehouden, werd er commentaar gevraagd aan Armand Sag over de wedstrijd van het Turks elftal.